RARE FIND!! 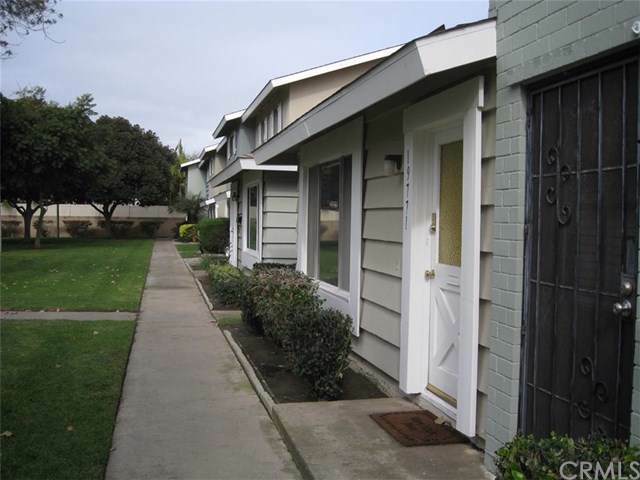 Single-story end unit in a desirable neighborhood of Huntington Beach! This home sits inside the tract for more private enjoyment and comes with one assigned covered parking space. This home is turnkey and is a perfect starter home with low maintenance and plenty of upsides! Home has good closet space and a great floor plan. The large window in the living room provides plenty of natural light and a great view to the community courtyard. Home had minor remodel 10 years ago. Two carpet areas are RARE FIND!! 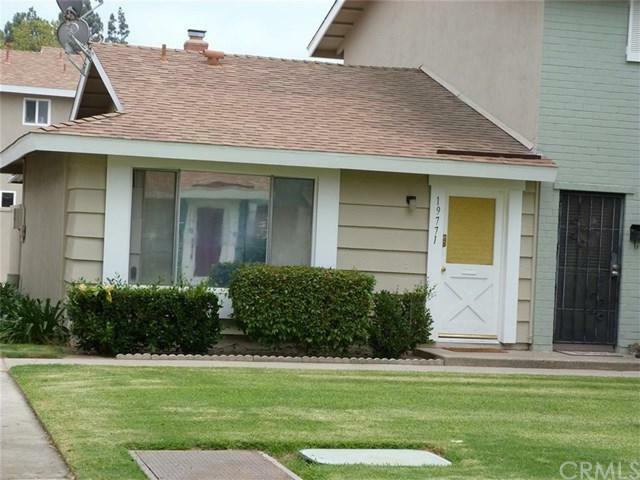 Single-story end unit in a desirable neighborhood of Huntington Beach! This home sits inside the tract for more private enjoyment and comes with one assigned covered parking space. This home is turnkey and is a perfect starter home with low maintenance and plenty of upsides! Home has good closet space and a great floor plan. The large window in the living room provides plenty of natural light and a great view to the community courtyard. Home had minor remodel 10 years ago. Two carpet areas are living room and bedroom. Remaining area is white easy to clean tile. Home is on green belt, has 2 community swimming pools, spa, club house, and a community playground. 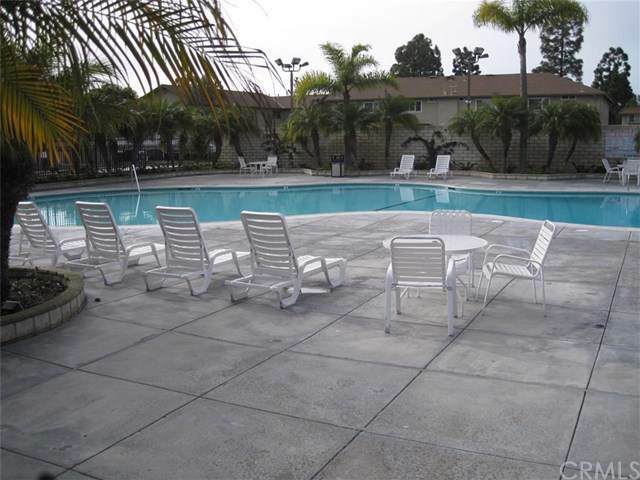 It's also only a few miles from the beach and across street from shopping centers and miles from the 405 freeway. THIS OPPORTUNITY WON'T LAST. 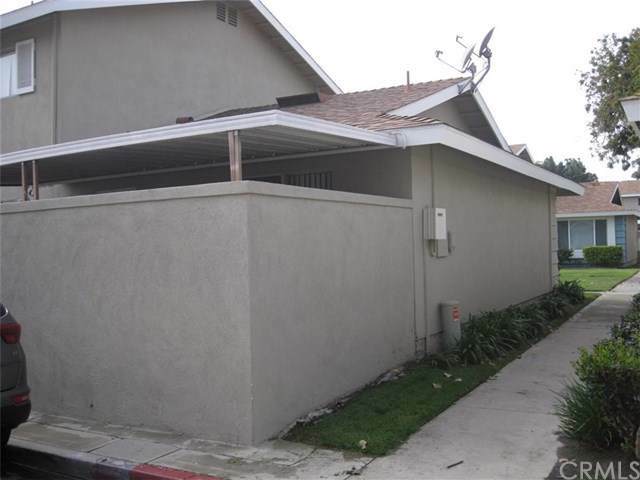 For $5,000 or less home can be completely remodeled with new windows, granite counters, new carpet, new paint etc. Seller open to various scenarios: finance, exchange, out of state property, etc. Listing provided courtesy of Joseph Miner, Broker. Listing information © 2019 San Diego MLS, Inc.